Following up from last week's post on decor with minimal color, on the other end of the spectrum I find myself attracted to is a very layered, lived in, artsy kind of space. 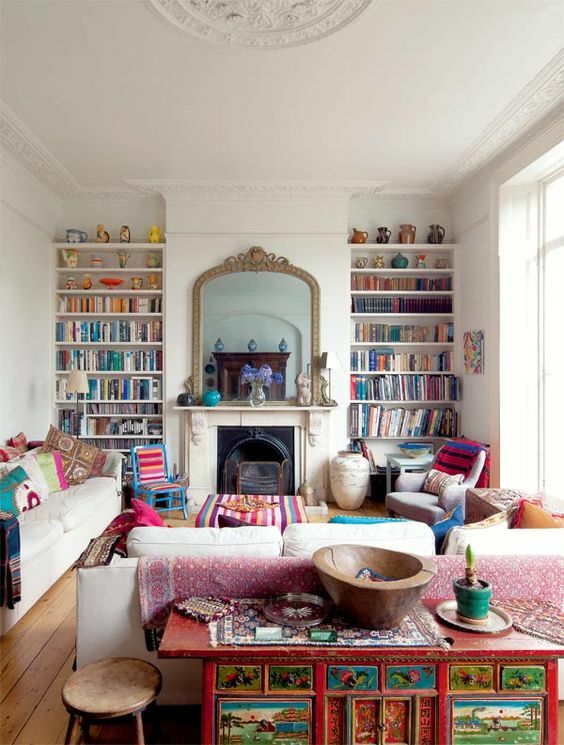 Rugs, lamps, plants, rows of books, stacks of books, and tons of art, color, and texture. I think that this kind of laissez faire approach to decor feels very joyful and genuine. 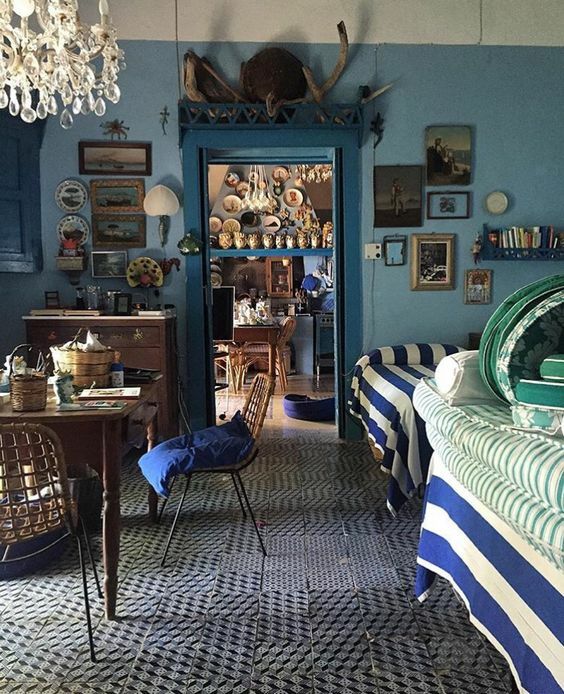 It would definitely be difficult to feel bored of a space like this. I thoroughly enjoy this style of decoration, as I mentioned before it just feels joyful and...inspiring? 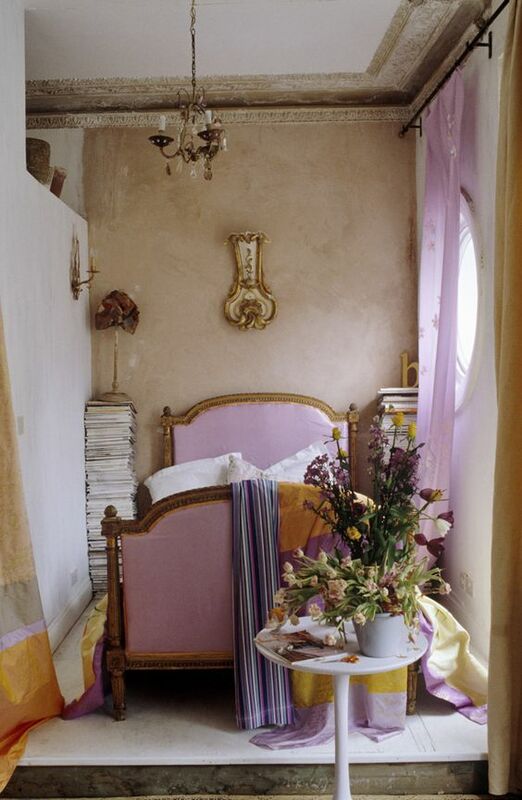 In order to stop from crossing the line into cluttered, this approach requires a good eye and instinct for color combinations and vintage shopping / thrifting. 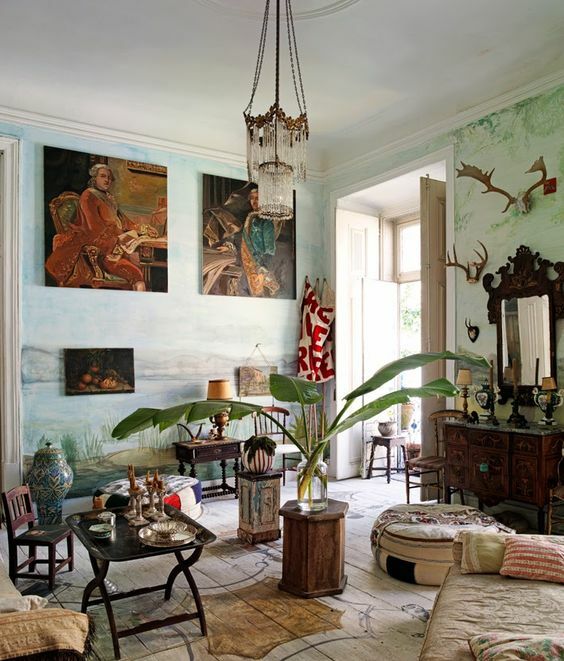 It would be difficult to achieve something like this very quickly as I think pieces must have a reason for their existence in your space in order to maintain that line between a room with personality and one with clutter. Another possible pitfall in trying to create a layered look too fast is creating too much homogeneity in the items - purchasing too many things in one place can result in something too manufactured looking. 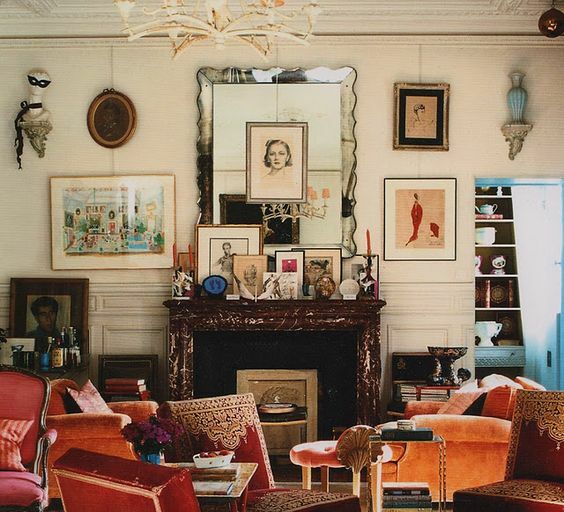 In the end it is about playing with a combination of cool textiles, interesting furniture, and your collection of favorite books, magazines, and art. 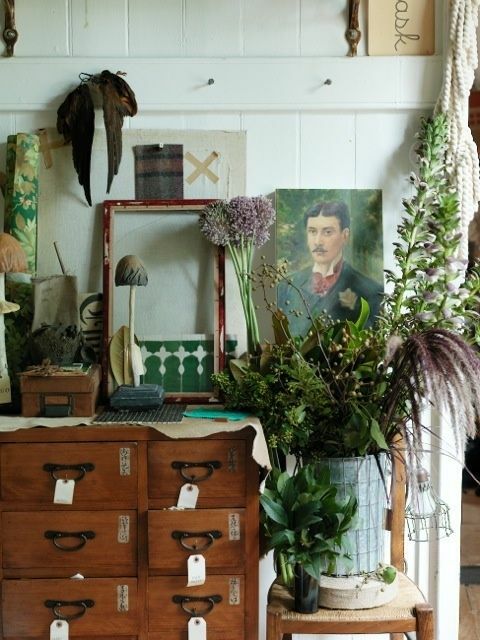 Add some life with greens and florals and some interest with older, dried flowers - et voila! You have your own artist's apartment.